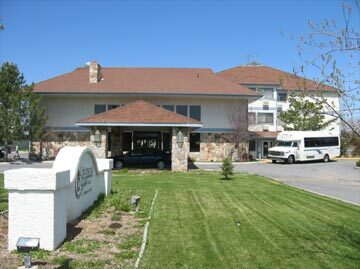 Cottonwood Cove is a beautiful leisure retirement community which caters to the retired person who appreciates privacy, security and the added benefits of personalized service. Great senior housing. The beautiful apartments are designed around a clubhouse which functions as a center of activity with a splendid dining room, craft and game areas, a library, TV lounge area, shuffleboard court, beauty salon and laundry facilities. Residents will appreciate the 24-hour emergency intercom system and scheduled transportation which is provided to shopping malls and to recreation sites. 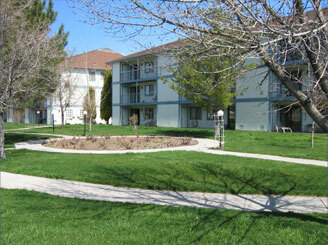 We would like to introduce you to a new concept in active, carefree retirement living and senior housing. Since we opened Cottonwood Cove Retirement Community in Pocatello, Idaho, our residents have found retirement living to be a very special, fulfilling experience. We call it "Golden Living" because that's exactly what it is - for the golden years of your life. Then Cottonwood Cove is the answer! Cottonwood Cove is not a rest home. Cottonwood Cove is designed for you, the independent retired person who desires the benefits of security and personal services. By making Cottonwood Cove Retirement Community your home soon, you -and your family - will experience your golden years as most enjoyable and comfortable.